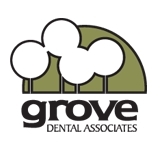 Grove Dental is conveniently located on Main Street in Downers Grove. We provide services in basic treatments such as check-ups or more complex issues such as oral surgery. Grove Dental has general dentists, pediatric dentists, orthodontists, oral surgeons, periodontists, and endodontists on staff.